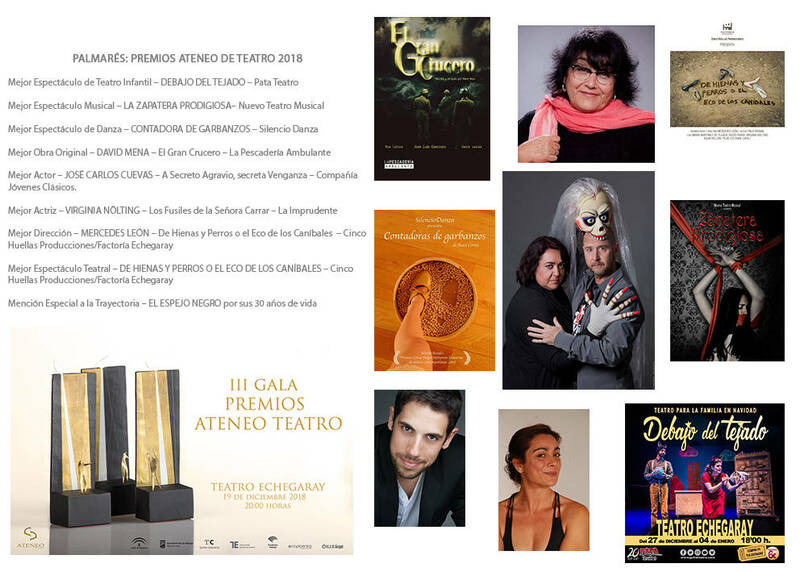 The Ateneo de Málaga has everything ready for the presentation of the 'Ateneo Teatro Awards' with a gala that recognizes the professional career of different professional companies working in the world of theater. Last week the President, Victoria Abón, and the head of the Vocal Theater of the Athenaeum of Malaga, Marina Giménez, at the Ateneo de Málaga, revealed the winners who will receive well-deserved awards. The Echegaray Theater is the place chosen for a gala that will begin at 8:00 pm and will be conducted by the heads of the Vocal Theater of the Ateneo Málaga, Noelia Galdeno and Marina Giménez Devesa, and enlivened by the performance of the jazz band formed by Carlos Fernández Campos, José A. Serrano and Luisongo Landa.  Best Actor - JOSÉ CARLOS CUEVAS - A Secret Grievance, Secret Revenge - Young Classics Company. The Ateneo de Málaga, in the III Edition of its Ateneo de Teatro Awards, invited all professional companies that had premiered work in Malaga from October 1 last year until September 30 of this year to participate. They have participated in total of thirty shows of Theater, Dance, Musical Theater and Children's Theater.